MBTA Silver Line 1 or 2 to the Waterfront (free transfer from Red Line) and take to Courthouse station. Contact Fruittie at fruittie@thevaranogroup.com or call (617) 737-0290. 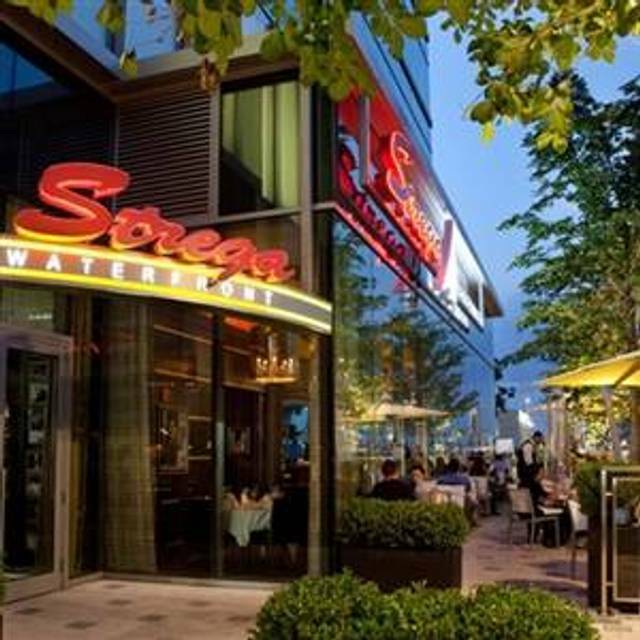 Strega Waterfront is Boston’s place to see and be seen. Enjoy unforgettable Italian cuisine in Strega’s beautiful dining room adorned with two fireplaces and original artwork. For a lively night out, sip on specialty cocktails in the bar and lounge area beneath the television wall. Strega Waterfront offers three separate private dining rooms available to accommodate parties of all sizes and occasions. We enjoyed our dinner at Strega Waterfront. It is a fun spot with a lot of action. The bar was busy, but the bartender waited on us right away. There was a long delay between our appetizers and our dinner, but we didn't mind as we were enjoying the evening. The food was delicious - we all loved our dinners. The portions are very large. My only complaints are that my food wasn't very hot and our waiter (an older gentleman) was not very attentive. I would have liked to have requested that my dinner be warmed up; however, our waiter did not come back to our table for quite some time after the meal was served, so I eventually just went ahead and ate it even though it was a bit cold. Wow! Eaten here many times but hadn't order the stuffed veal chop in awhile and it blew me away. Amazing flavor, cooked perfectly. It was a busy Saturday night and Phil and the hostesses did their best to get us seated and comfortable. Anthony G served us perfectly like we were the only ones there and helped us with our wine selection. We are happy to have Strega as a neighbor, can't find better food or service in Seaport. Food was good not great. Tables too close together. A millennial 30 th Birthday party kept bumping my chair and people couldn’t get by. We had a wonderful night at Strega's. Our waiter was a 10. It is in a great part of Boston. Easy to get around if you know the way. The food was excellent but our server was not very attentive and acted very rushed when he was taking our order. My daughter , whose birthday we were celebrating ordered a second glass of wine, which never came. We pretty much felt ignored by our Server. We love the food at Strega so hopefully next time we get a better Server. 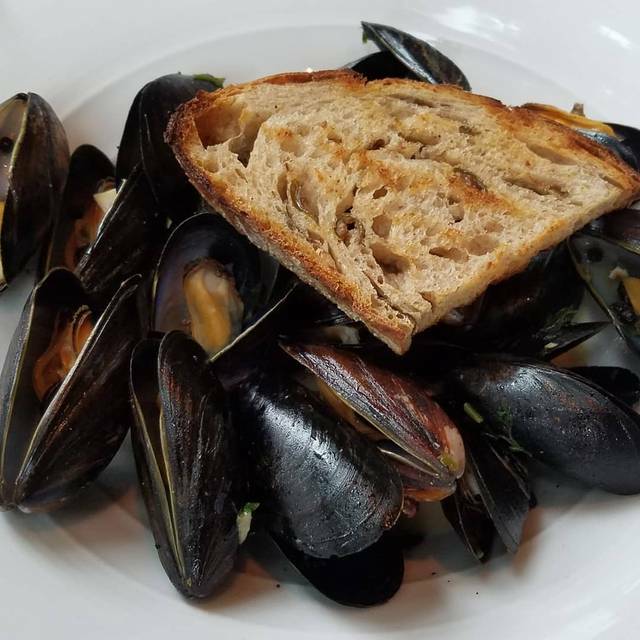 Our favorite seafood in Boston. Great experience. 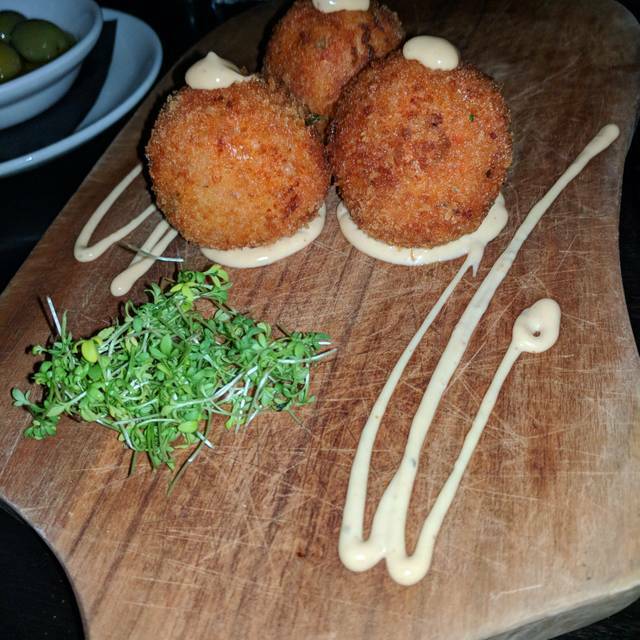 The food was fantastic and not a word or sideways glance the entire time just courteous staff and smiles which is significant because we were having a business meeting which lasted 4 hours for a table of five and no alcohol was consumed. I went on a Saturday night and it was very crowded. Even though I had a reservation I had to wait 15 minutes to be seated. The service of the waiter was very slow. They need to hire more waiters / waitresses during their busy hours. Food was very good but they kept us waiting too long for our meals. They said they were busy. Well of course Saturday night in the city. They are an experienced restaurant!! No excuses. 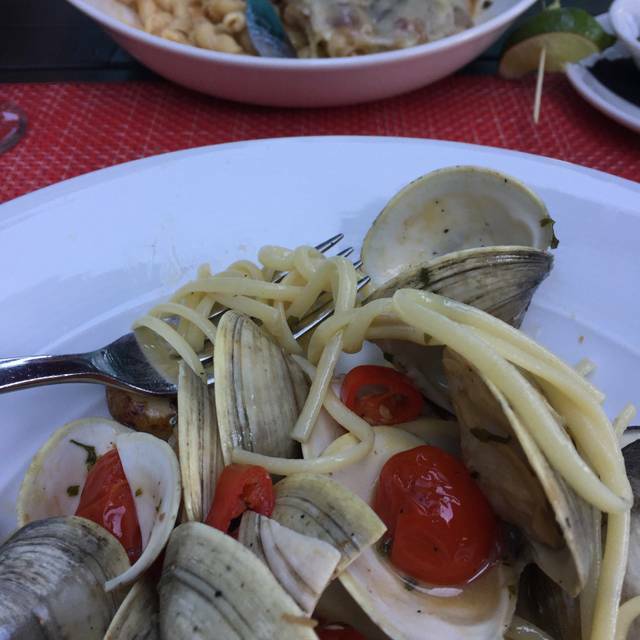 I'm a huge fan of Strega's restaurants, had not been to the Waterfront venue in awhile. It did not disappoint. The bar was lively and fun, we were seated promptly at our reserved time. Our waiter Carl was efficient, knowledgeable and never missed a beat in overseeing our every need. Our party of four all selected different things, including two specials that evening which were fabulous. I will admit if your looking for a quiet intimate place to chat over dinner this may not be a good choice. It was a little loud at times, but I thoroughly enjoyed the lively atmosphere. I'll definitely be returning. We went here for a birthday. It was a great experience. The food is really good and not crazy expensive. The staff is very friendly and attentive. Overall really good place and experience. For the second time - I feel the server was just demeaning. My friends and I asked for separate checks at the beginning of our stay with you and immediately he turned from welcoming to put-off by our request. We saw "Bruno" very little after that. This is the second time that I have felt "not good enough" by your staff. Not sure what the problem is but it is impacting my decision to recommend your establishment nor will I plan to return. So noticeable and each person in my party noticed it, not just me. So for over-priced food, the service should be exceptional - you fail on that point! It would be nice if you could hold a conversation with your dinner date, but your restaurant was so loud it prevented any talking, but then even shouting wasn't effective, either. The place was decorated nicely. Great service. Great food. The atmosphere was great too. Loved the movies playing in the background. Normally give this place 5 stars....food was excellent as usual but the service was off ...slow and inattentive. Just an off night. We will be back. But, I love the food. The staff is very warm and attentive. The food is absolutely amazing! I have dined at Strega more than a dozen times over the past couple years. Always had great wine and solid above average food. Had sea bass a couple visits back and it was exceptional. Had the lobster risotto this past visit, but it really was terrible. I didn't say anything or send it back as i was with clients but given that it was Strega, I was expecting an excellent dish. 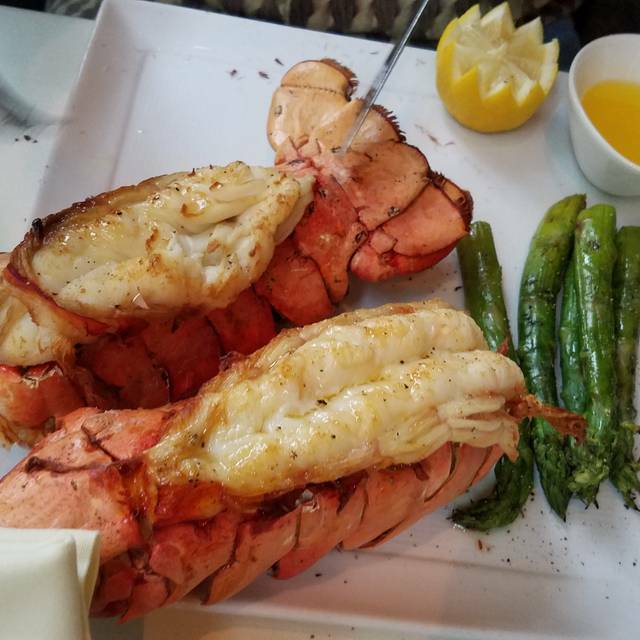 It was served in a bowl, the lobster was clearly previously frozen, water logged, and had no taste or flavor. The risotto was undercooked. 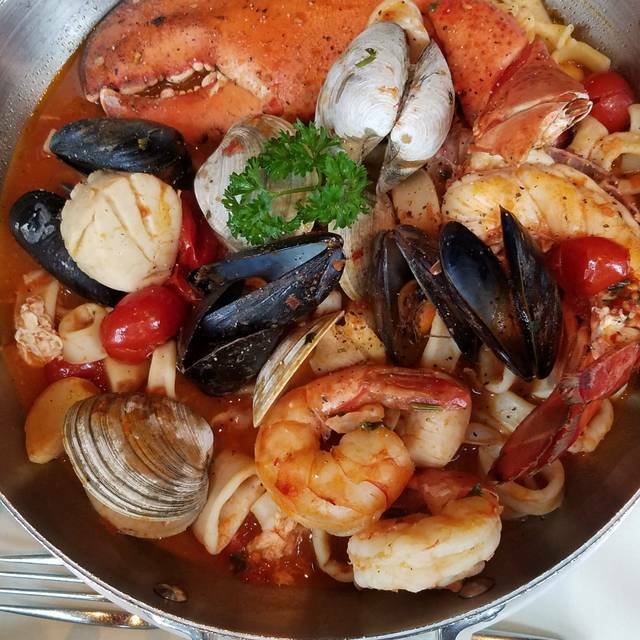 The combination of subpar food served in a large soup bowl was just not up to the standard I usually see when it comes to dining at Strega. I will of course go back as one terrible meal is likely an exception to an otherwise terrific history of serving quality well presented dishes. I'm still a patron but sure hope this is not a sign that Strega is not worth the trip to what is now an overdeveloped and overexposed Seaport Boston. Toss up whether I would recommend , many more dining options in Boston now. 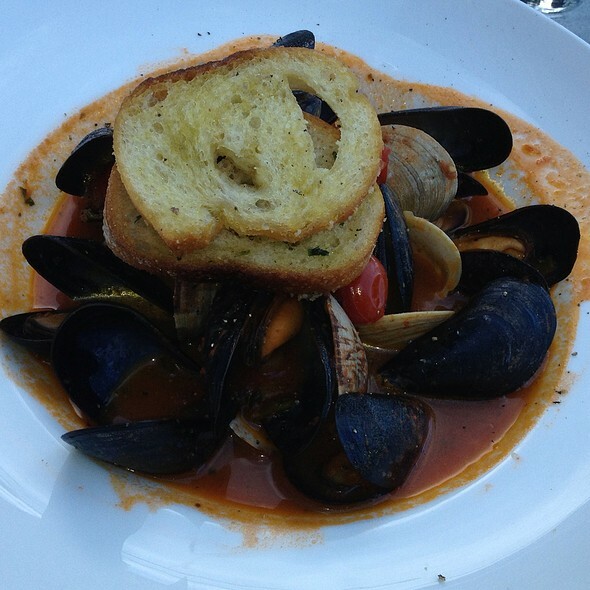 I have been to Strega numerous times and both service and food have was very good. Unfortunately Sunday's evening's service was very poor , had to keep on asking for forks, spoons, appetizer plates . Not the service that we have been accustomed to in past. Octopus appetizer and Halibut dinner were both way overcooked. Shrimp cocktail was over processed with chemical. Famous meatball appetizer , well fleet oysters . Bolognese , short ribs and sirloin dinners were all very good. Our waiter, Michael, was wonderful. He did a great job. He was so friendly to my family. I would like to have him wait on us the next time eat there. I was so excited to use my gift certificate to this high end restaurant. What a disappointment!!! And thank god I had a gift certificate. If I had to pay for that meal, I would have been extremely bummed out. PSA - the "Surf" on their surf and turf special is not New England or Maine (or even cold water lobster). It is absolutely 100% from warm water. It was so bland with no taste. My filet was literally well done on one half and raw on the other (I don't even know how that is achieved! ).....We waited over 45 minutes for our food and the noise level in the dining room is deafening. Also, why they need 8 tv screens showing Goodfellas, The God Father and all of those movies is beyond me. Believe me, we get it. 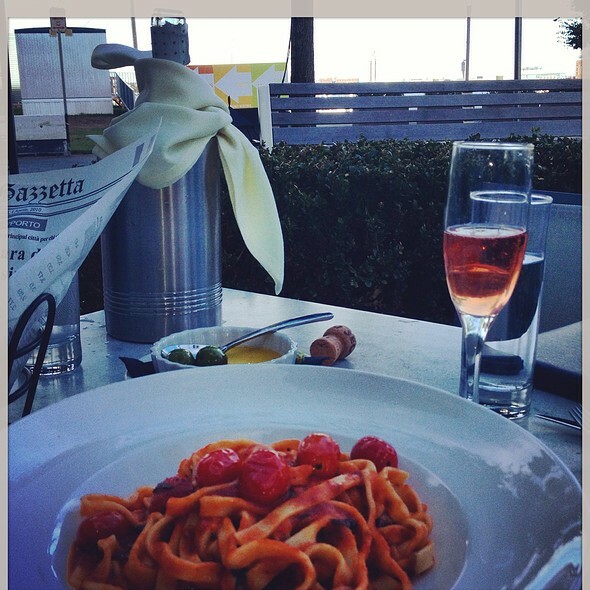 I enjoyed every minute of time spending at Strega! Up to now the best food and restaurant ever! Thank you! Delicious dinner and great service, but felt it was very expensive for what we ordered. Drinks were delicious but a bit weak. Overall though it was a great experience. 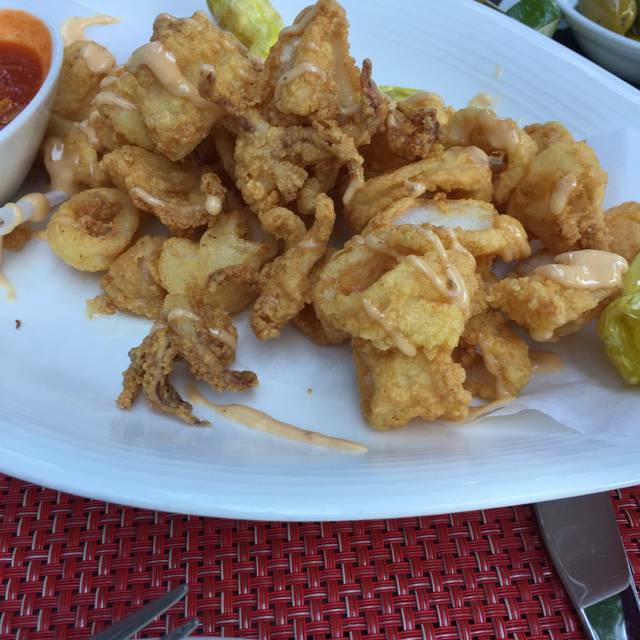 Strega Waterfront was our choice to try during Dine Out Boston. We were thrilled we selected such a phenomenal restaurant. From the moment we got their the great customer service began, as we gathered in the bar area to wait for our friends and for our reservation to begin. Sarah, the Bar Manager, and her staff went out if their way to accomodate us and the experience began. We sat (12 of us) in a semi-private dining area and the service was excellent. Our server was very attentive and brought three amazing courses. We all chose different items but everyone went ho.e full and happy. The food presentations were delightful, as well. Strega Waterfront was a fine choice. You should definitely try it. Great ambiance, too !! I would recommend the bar for a drink and an appetizer. This was my third time to Strega. First two visits where great. I decided to go during restaurant week with a few friends that had never tried Strega. We where a party of 6. My dinner arrived 20 minutes after the others. I had to borrow food from my friends plate. She ordered the same thing as me. When my food finally arrived, it was obvious they rushed the order and it was not cooked and I had to send it back. Also, I did not make a fuss and I didn't ask for the item to be taken off the billl, however, it was not offered to be removed by the waiter - and I paid full price for a lousy meal. My portion of the bill was $170. The food was lousy steak and mashed potato! I had to make myself a sandwich when I got home. From the host to the bartender, Mark, to our waiter Antonio, to the manager Phil. everybody was absolutely great in accommodating my group. They altered our reservation, made great drinks, recommended the perfect bottle of wine and made our dinner experience Amazing. We will definitely be back. I love this place! Make it a point to visit every time in Boston. Gorgeous dining room, excellent meals and perfect table service. Outstanding dinning experience. Highly recommend this location. I love the Strega north end. This one does not have the ambiance. The food is good, but not as good as north end. My favorite of all the Strega restaurants! It's our go-to when we eat out in Boston. Was ok. My dish was a bit bland. I had to put lots of salt on it. I felt that my glass of wine was overpriced.